The Rural Clinical School Griffith Campus was completed in June 2013 after a thorough refurbishment. What was previously a dental surgery has become a modern teaching facility with three tutorial rooms, video conferencing facilities, computer lab and common areas. Griffith is a regional hub in the Murrumbidgee Irrigation Area (MIA). Like Canberra and the nearby town of Leeton, Griffith was designed by Walter Burley Griffin. The city is a major junction for the Kidman Way, Burley Griffin Way and Irrigation Way - highways that link the MIA. Griffth has experienced strong commercial and industrial growth in recent years but still continues to be a major agricultural grower of rice, citrus, stone fruit, wine, cotton and vegetables. The region offers a wide range of employment across the agricultural, retail and engineering sectors. Griffith is the third largest centre for education in the Riverina after Wagga Wagga and Leeton, with three secondary schools and 13 primary schools. It also is home to one of the largest campuses of Riverina Institute of TAFE. The Rural Clinical School campus is located at 30 Noorebar Avenue, Griffith, NSW, 2680 (on the corner of Noorebar Ave and Beal Street). Griffith's population is approximately 18,000 with a wide range of services, shopping centres and activities that cater for most people's needs. The residents of Griffith enjoy picturesque gardens, local wineries, art galleries and award winning restaurants. The community welcomes and celebrates the diverse cultural mix that has greatly contributed to the initial and continual growth of the City. There are a number of annual community events which honour and celebrate the rich cultural vibrancy. The city enjoys a vibrant creative culture with live entertainment at pubs and clubs, stage shows at the Griffith Regional Theatre and the Regional Arts Gallery with works sourced from across Australia. Alternatively visitors can step back in time with a trip to the Pioneer Park Museum, or perhaps take a trip to the Catania Fruit Salad farm and find out about modern agricultural practices. For those more inclined to wine and dine, the region contains some of Australia's most recognisable wineries, many with cellar door sales. To compliment the magnificent wines are the city's well respected restaurants which serve flavours of the Mediterranean, Asian and European cultures, in elegant fine dining and alfresco style. Sport and outdoor recreation plays an important part of life in Griffith. Sports such as football, soccer, tennis, bowls, bocce, indoor & outdoor netball, basketball, touch football and cricket clubs all welcome newcomers to the region. With Lake Wyangan nearby, activities such as fishing, canoeing, sailing and water skiing are all popular in the summer months. Located near the airport is an eighteen hole golf course which holds regular competitions throughout the year. The city is host to many major sporting events from jet boat racing, clay target shooting, motor cross and off road championships. Griffith Base Hospital is a 90-bed facility with two well-equipped operating theatres. There is general surgical, general medical, paediatric and obstetric emphasis. The hospital is also serviced with a 24hr Emergency Department, ICU/CCU and an extensive Outpatient Clinic. There is also a rehabilitation and pain service on-site. Residents, VMO's and visiting staff specialists from St Vincent's Hospital (Sydney) staff the hospital. Diagnostic and support services within the hospital include Radiology (public and private) Pathology, Pharmacy, Physiotherapy, and Blood Bank department. Griffith has a substantial medical community with approximately 40 General Practitioners in the district & surrounding regional towns. There are over 20 resident and visiting specialists servicing the Griffith district. The medical services provided by these Specialists include: General Surgery, Dermatology, Urology, Rheumatology, Paediatrics, Specialist Physicians, ENT, Oncology, Faciomaxillary/Oral Surgery, Rehabilitation Medicine, Orthopaedics, Ophthalmology. Griffith has a multidisciplinary teaching philosophy. Education sessions are often attended by senior doctors, junior doctors, nursing staff, medical and nursing students. Weekly ICU grand rounds, monthly grand rounds, weekly JMO teaching, weekly departmental teaching, skills lab and simulation training. As of 2013, six students are accepted into the Phase 2 program at Griffith. 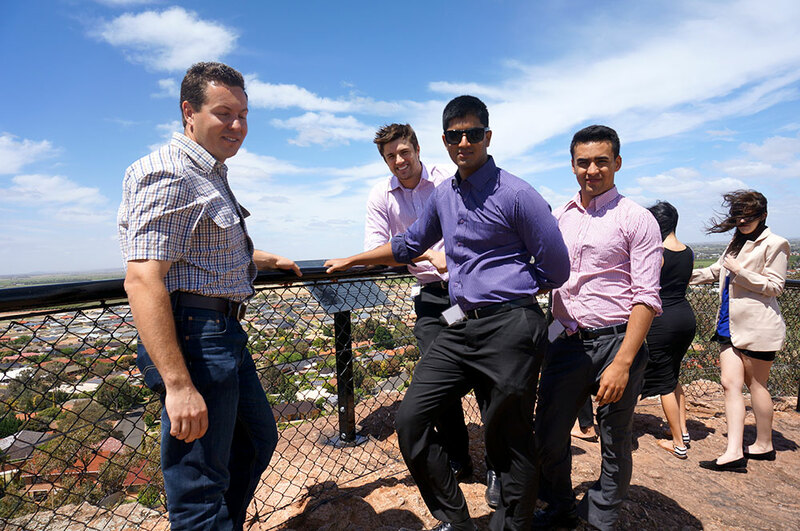 Students from Wagga and from Sydney will undertake short-term placements in Griffith each year. 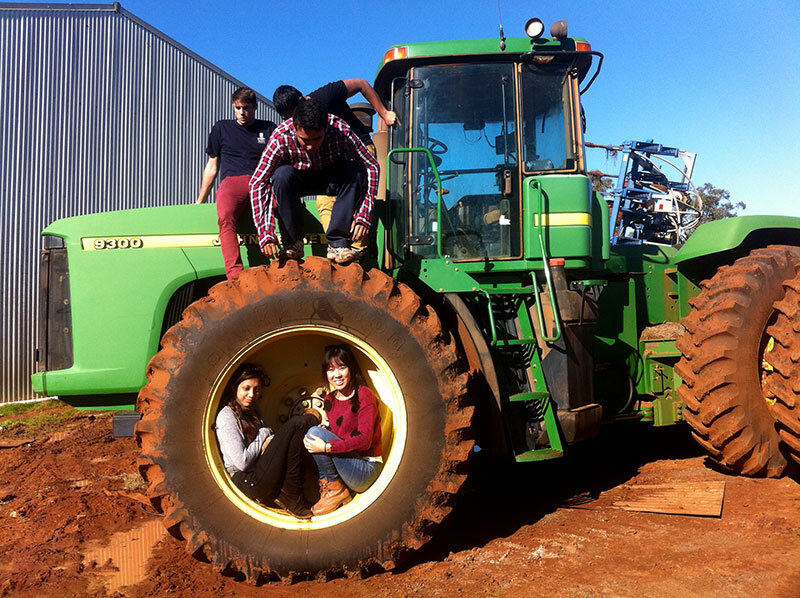 Read story about students trip to farm to learn about rural health issues. 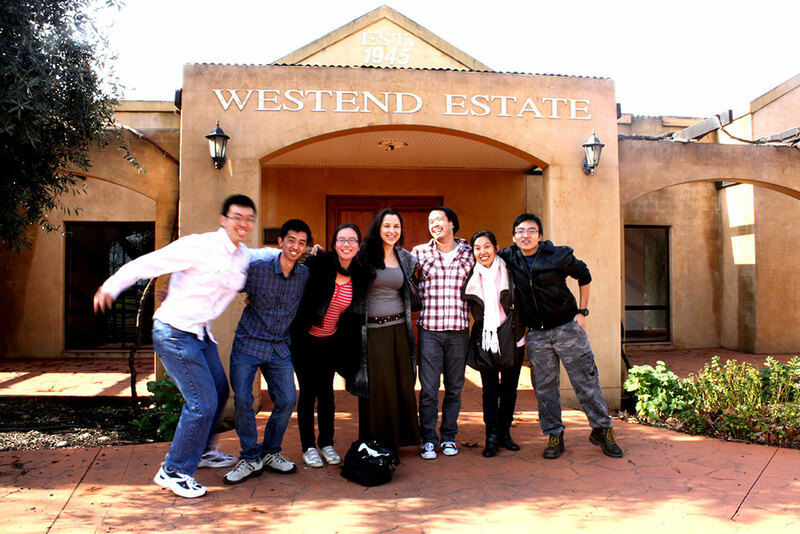 Arthur Chee and Michael Chan –5th Year medical students on their rural placement in Griffith. We couldn’t say that we were thrilled at the beginning to be sent a 7-hour drive from Sydney, away from the conveniences of city life and everything reachable within a 5 minute drive. To top it all off there was an excruciatingly long but necessary introduction/orientation on the first day – the signs were ominous. But how wrong we were.